When people contact me about Cristal Azul Boutique Hotel, it is easy for me to describe to them what too expect while on vacation here having fallen in love with the quiet way of life in this area and its untouched pristine beauty many years ago on first site. I tell them too expect Barefoot Luxury. I then go on to explain that there are no rules at Cristal Azul but rather endless opportunities for relaxation and rejuvenation. Too expect no hustle and no bustle, no chaos and no stress. I describe how time stops on this beach and deep long breaths can be taken. Shoes are replaced with flips flops – cubicles with hammocks. Finally I tell them it is something you have to experience first hand to understand because it is so hard to describe the barefoot luxury that is our daily existence. 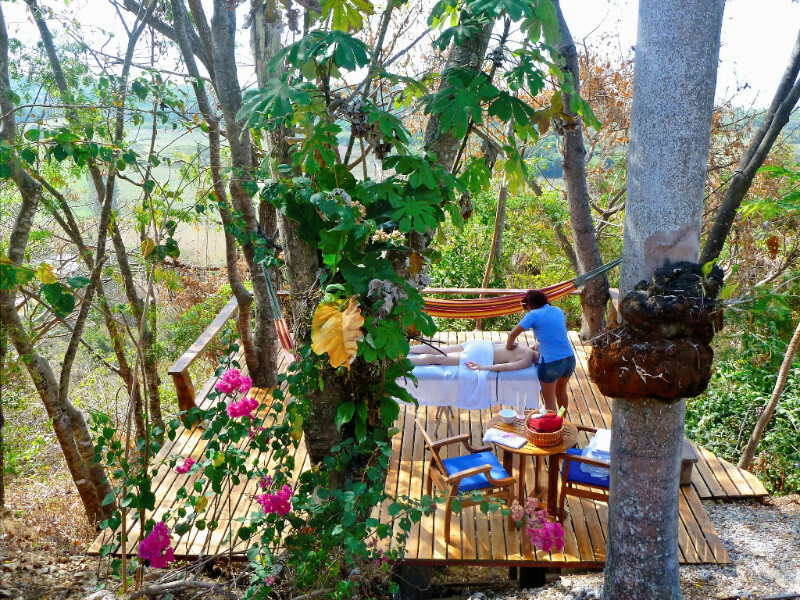 Barefoot Luxury at Cristal Azul Boutique Hotel is a “toes in the sand” existence where visitors get to connect with simple, breathtaking luxuries like walking on a deserted tropical beach or falling asleep to the pounding of the surf and nocturnal sounds of the jungle. It’s the perfect mixing of natural wonders, creature comforts, understated elegance and warm personal service in a relaxed and informal setting that many travelers today seek out as they look for the ultimate barefoot luxury vacation in Costa Rica. “Gone are the days where luxury means over-the-top “look at me!” opulence or gaudy, glittery furnishings. Today, time off to simply do nothing is a luxury. So is fresh, clean air and wild, untethered landscapes. Nature: being wholly enveloped by it and immersed in it. Understated elegance. Local handmade products, local food, art, natural materials, freedom to pour yourself a glass of wine or grab a beer, privacy, intimacy, quiet and space – lots and lots of space.” (Cindy Fan, So Many Miles. 2012). And this truly defines a trip to Cristal Azul and the area. No Rules – No Shoes – No Rush – No Problemo! Cristal Azul wholeheartedly embraces this new type of “luxury” travel that is so different from what had been industry norm up until a few years ago, and has done so for many years. Leave your resort wear, stilettos and cocktail attire at home; there are no dress codes here except to be comfortable and cool. Flip-flops, tees, bathing suits and sarongs are the most you will need. This is not the type of luxury that can be dressed up or mass produced, but rather Cristal Azul provides the luxury to escape from the worries of day-to day-life and to be surrounded by stunning, natural beauty – to enjoy sunny days and starlit nights on 14 acres of private beachfront property. Whether it’s getting lost in the views or getting lost in a book, Cristal Azul Boutique Hotel is the perfect place to kick back, relax, to let your mind wander or simply think of nothing at all! A staff is on site in case a need arises, but out of site as guests have access to an honor bar in the rancho. Barefoot luxury allows you to enjoy the perks of a resort, at your own pace, no pressure! It’s a luxury that is created with simple, understated elegance and a warm personal touch. It’s the luxurious feeling of being free in the wild…and also a little spoiled in Costa Rica! Barefoot Luxury at Cristal Azul Boutique Hotel means waking up at your leisure knowing that coffee and a fabulous breakfast is waiting for you in the rancho. It is the luxury of knowing that your day has been prearranged for you and that all you have to do is show up on time and enjoy. It is the luxury of not worrying what time it is. It is the luxury of knowing that the day is yours to do as you please be it filled with activity and adventure or rest and relaxation. It is the luxury of simply doing nothing at all. It is the luxury of knowing you are going to eat fresh, local food prepared in mouthwatering typical dishes daily. It’s the luxury of knowing that while the jungle outside your cabina at night might be alive and active, you are going to sleep soundly with AC and fine linens after a hot shower – and that the critters from the jungle will stay outside! It’s the luxury of knowing the pool and bar are accessible to you 24 hours a day! At Cristal Azul Boutique Hotel there is a laid back, “not a worry in the world”, “go-at-your-own-pace” vibe. Shortly after arrival guests shed their tablets and cell phones – binoculars and boogey boards soon take their place. Yoga is your AM & PM commute to inner peace. Long leisurely walks fill the afternoons, muscles are massaged, games are played, books are read, glasses are raised and toasts are made. Moments are enjoyed and memories are created. Life slows down and the mind, body and spirit are quickly rejuvenated. This is the luxury a vacation at Cristal Azul Boutique Hotel offers: it’s the luxury to celebrate yourself and your valuable time off. It’s the luxury of leaving the noise behind. It’s the luxury of enjoying friends, families and loved ones and a little digital detox! It’s the luxury of a beach vacation without the crowds! Here, the luxury is Barefoot Luxury: understated elegance and simplicity in a comfortable and relaxed setting. It’s the luxury of being spoiled in paradise without any pretense. At Cristal Azul Boutique Hotel you step back in time and for a brief moment enjoy a way of life long forgotten. 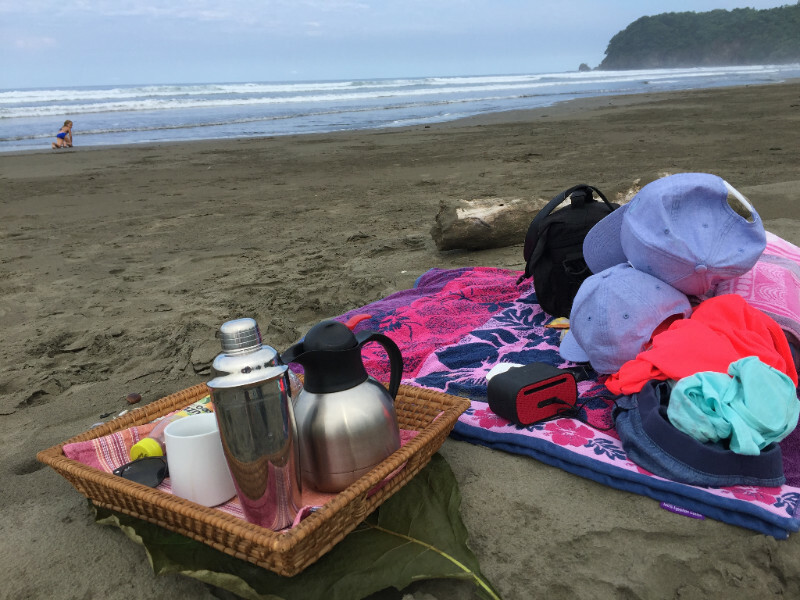 Time stops here and after a few days, it is not uncommon for many to ask, “what day of the week is it?” because you truly do disconnect that much from the chaos and hectic stress of life and become lost in the incredible tranquility that is daily life in Playa San Miguel, Costa Rica. There have been many guests who have arrived to enjoy a night or two with us and ultimately ended up staying a week, sometimes two, because they simply could not tear themselves away from Cristal Azul and the beach below. It’s a hard place to leave and one never to be forgotten. Join Us in Paradise! Enjoy Barefoot Luxury! It was the pristine, undeveloped beauty of the beach and slow pace of life that attracted us to this area 16 years ago long before Barefoot Luxury was a travel term. It is still what attracts travelers to traverse bumpy roads to reach us today at Cristal Azul Boutique Hotel in Playa San Miguel, Costa Rica. Come and enjoy Barefoot Luxury with us and experience what Costa Rica was like before the world arrived! We will spoil you in paradise! Follow the link below and contact us directly for special rates and custom adventure packages!